Share your travel dreams with us and we’ll start planning your memorable private tour to India. 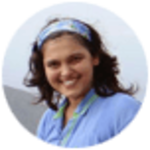 Any tour to India is sure to be an adventure. That is inherent in the nature of this land, which is at once mind-boggling and inspiring, imperfect and incredible. From north to south, India’s geography is captivating. At hill stations in Himachal Pradesh wake up to views of the snow-capped peaks of the mighty Himalayas. The peninsula of India has a 4,600-mile-long coastline with a diverse range of sites: Goa’s sandy beaches, the mangroves of the Sundarbans, historic seaside temples at Mamallapuram. And there’s Kanyakumari, the southernmost tip of India, where the Arabian Sea, Indian Ocean, and Bay of Bengal meet. You may have heard the cliché that India is sheer chaos, and perhaps it is. But there is a method to its madness. 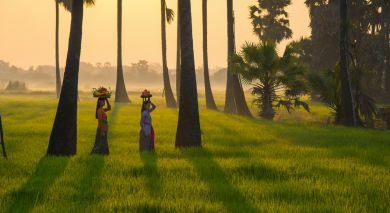 Leave the uncovering of that pattern to Enchanting Travels’ experts, experienced in organizing private tours to India. From start to finish, all you need to do is trust, keep your mind open to having a blast, and drinking lots of chai. Whichever direction you travel, India’s history, seen through its magnificent monuments, will leave you humbled and awestruck. In the southern state of Tamil Nadu witness religiosity and ritual at Madurai’s Meenakshi Temple. Go west where Rajasthan’s Mehrangarh Fort, towering over the city of Jodhpur, is a both palace and symbol of a medieval military tradition. In northern India the glory days of the Mughal Empire come alive in the monuments of places like Fatehpur Sikri and Delhi. Plan at least two weeks to capture some of the marvels of this remarkable country, even if right now all you really want to do is to visit the Taj Mahal. India’s vast size means that there are numerous weather patterns. Generally, the best time to visit for warm, dry and sunny weather is between October and March. During this time, the north offers clear blue skies; however, December and January are much cooler with potential fog, while the higher Himalayan reaches can be very cold, but with clearer mountain views. Increasing temperatures in April and May can result in trips that offer excellent value, but you can expect high humidity and thunderstorms. The best time to travel to India’s southern states is from November onward, once the monsoon has ended. 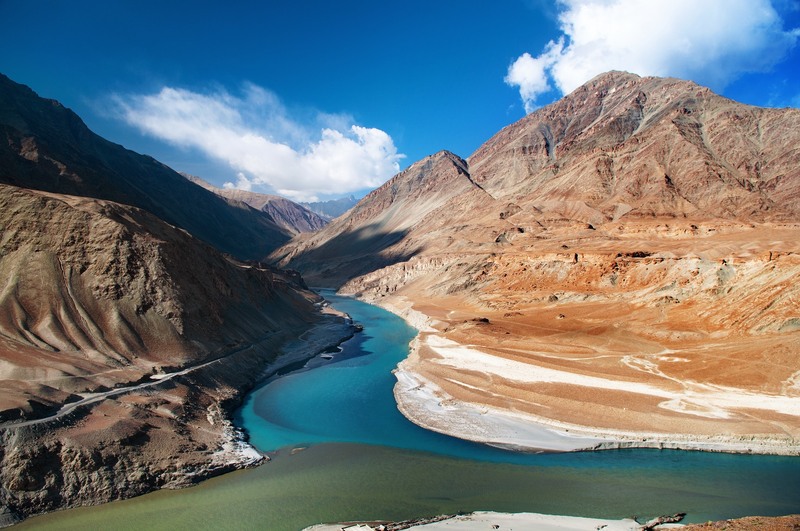 In contrast to the rest of the country, Ladakh in the far north is accessible only between the summer months of June to September. July to September is a great time to visit Rajasthan when the monsoons revive the beautiful desert regions. You can enjoy lower rates and fewer crowds. September is probably the best hidden value month with moderate temperatures, relatively less rain than the other monsoon months and great low season rates. .
From currency to communication, travel information, health and matters of etiquette, read the latest and best India travel tips from our destination experts. Discover the top 10 things to do India, divided by region: North India, South India, Central & West India, East India, Himalayas and India’s Islands and Beaches. India is by and large a very safe country that will leave you mesmerized and mystified. 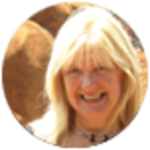 However stimulated, inspired, awe-struck or overwhelmed you might feel while in the country, it is always important to remain alert. To make your trip even more memorable and hassle free, here are a few basic guidelines for staying safe in India. As a rule of thumb, visitors to the larger cities like Delhi, Mumbai, or Bangalore will find that a mix of Indian and Western clothing is acceptable and is worn by many young Indians. However, in many popular tourist destinations like Rajasthan, modesty in dress is recommended for men and women. Carrying a shawl/stole/scarf offers protection from the heat and dust, and can also be used to cover the head in holy places. Please carry a comfortable pair of flat shoes. The winter months will require light woolens. For the dry, summer months between April to mid-July before the monsoon season, light cotton clothes are ideal. Do carry umbrellas, raincoats and waterproof shoes if you are traveling during the monsoon months of July – September. Following a court order banning jeans and shorts as inappropriate for spiritual worship, most temples in South India have started imposing a stricter dress code on visitors. The order recommends that men wear a dhoti (traditional Indian garment) or pajamas with upper garment or formal pants and shirts to temples, although in some temples it is not customary for men to cover their torso. Some temples may not allow leather belts and purses either, as these are made from animal hide. Jeans, shorts and ‘lungis’ are prohibited. The court recommends that women wear a sari or ‘churidhar’ with upper garment. Jeans, leggings, shorts and short skirts are not allowed. Indian cuisine is a wonderful treat. As James Beard once wrote, “Food is our common ground, a universal experience!” An India tour is incomplete without sampling local delicacies. Savor up the most popular flavors with us! Indians are very passionate about eating and take their cuisine very seriously. Considered an art form, family recipes and cooking techniques are passed from mother to daughter, continuing down generations where young women are taught culinary skills quite early in life. Most Indian foods are traditionally rooted to one’s culture and identity, differing from region to region. Rich in taste and texture, Indian foods are easily distinguished by the generous use of various aromatic spices, resulting in delectable flavors and distinctively pervasive aromas. Food, glorious food…it’s time to lose yourself in the exotic flavors of India. Discover myriad landscapes and cultural delights when you travel to the different regions of India. 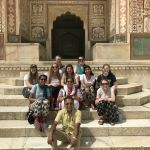 Our private North India tours offer a mosaic of influences that can be attributed to the armies who have marched through this bold and diverse landscape, from Alexander the Great to the Mughals and most recently, the British. In Rajasthan and Madyha Pradesh, fortresses and palaces bear witness to the wealth of the region’s legendary warriors. In Agra, the Taj Mahal tells an eternal love story, while farther East, the Ganges welcomes pilgrims and visitors to Varanasi, the City of Light. Tour Highlights: Taj Mahal by Moonlight, The Red Fort, Chandni Chowk Market, Dune Rides in Jaisalmer, Boating on Lake Pichola. 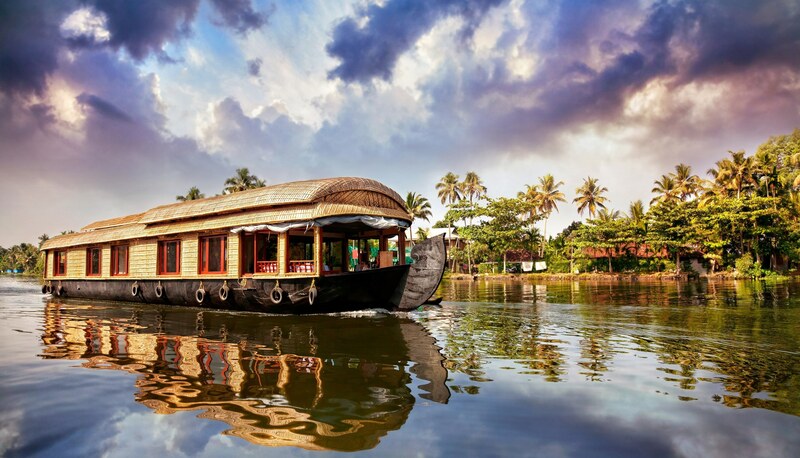 Verdant backwaters, and hill stations bring a South India tour or a houseboat holiday in Kerala to life. The South has captivated travelers since the days of St. Thomas (AD 52). From sea to shining sea, the South seduces effortlessly. To the East, Tamil Nadu’s shores are caressed by the Bay of Bengal. Inland, Karnataka offers relics of ancient empires and distinct cultural, architectural, and natural attractions. Tour Highlights: Boating the Kerala Backwters, Vitthala Temple, Thekkady Spice Plantations, Madurai Meenakshi Temple. Marvel at the 13 million-strong “Maximum City” of Mumbai, unwind on the beautiful beaches of Goa, or follow in the footsteps of countless Hindu and Muslim kingdoms. Be prepared for diverse and fascinating experiences every step of the way. Whether exploring bold, rocky landscapes, booming cities, lush forested hills, or listening to classical Indian music, the Central and West regions deliver unmatched cultural, natural, and historical experiences. Oh and did we mention this is tiger territory? Tour Highlights: Safari in the Bandhavgarh National Park, Seaside Scenery & Cuisine of Goa, Kanheri Cave Tour, Bollywood. East India’s cultural capital, Kolkata, envelopes a British colonial elegance, which is expressed in the architecture, gardens, and legendary cricket grounds. This region is also interwoven with an artistic and spiritual passion which is undeniably magnified in Bengali. 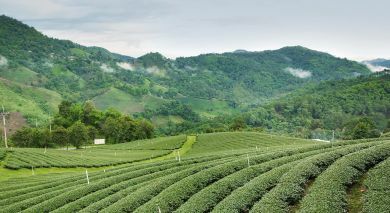 The Northern hills of Darjeeling and Assam are synonymous with serenity and tea, and the legacy of the Buddha’s enlightenment comes to life in Bodhgaya and Sikkim. Tour Highlights: Darjeeling Tea Retreats, Kolkata Markets, the Temples of Bhubaneshwar, Glacial Lake Tsongo. Far from Delhi’s bustle, the pine-scented air and breathtaking landscape of the Himalayas (the “Abode of Snow” in Sanskrit) and her foothills are surprisingly close – some a matter of hours from the capital. Rishikesh and Haridwar balance the sacred and sportive on the Ganges. In Shimla, a colonial storybook setting comes to life, whereas in Dharamshala, the mountains and monasteries testify to the immense natural and spiritual significance of this region. Tour Highlights: Hiking Trails, Overnight Trekking, Buddhist Monasteries, Yoga Retreat in Rishikesh, Hillsides of Shimla. Whether swimming with elephants in the azure waters of the Andaman Islands or observing a school of neon painted fish while snorkeling, India’s islands will satisfy even the most demanding beachcombers with their beauty, serenity and abundant natural attractions. Adventure seekers can take advantage of a variety of water sports like scuba diving, para sailing, and wind surfing. If it’s serenity you seek, just relax on the glistening white sand beaches and soak in the plentiful sunshine of the Indian Islands. Enjoy all this and more when you travel in India! Tour Highlights: The Beaches, Swimming with Elephants, Spice Plantations, Anjuna Flea Market, Museum of Dakshinachitra. We have traveled with Enchanting five years in a row. They always go above and beyond to fulfill our needs throughout our travel. We certainly will continue traveling with Enchanting and will recommend Enchanting Travels to all our family and friends all over the world! This was absolutely amazing! We spent 9 or so days traveling throughout India and Enchanting Travels was very hospitable and flexible! Our tour guides were personable and funny, as well as knowledgeable. All of the hotel accommodations were clean and beautiful. 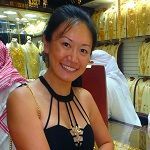 I think the real difference for me was with our Trip Coordinator and how she would reach out daily to ensure we were enjoying ourselves and making herself available if any problems arose. I would strongly recommend Enchanting Travels.